The Ab Crunch/Back Row combines the benefits of core conditioning with the Ab_Crunch_Back row simultaneous knee raise and back row exercises. 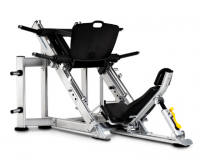 The Full Body Press engages a wide variety of muscle groups throughout the entire BodyPress body all on one machine, during one workout session. 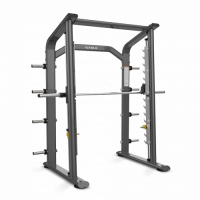 The dual-adjustable safety stops allow users to adjust range of motion to suit their individual needs while eight storage posts are standard. 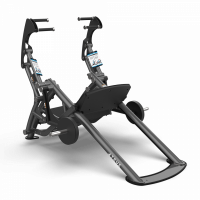 The high-capacity weight carriage of the 7800 Leg Press is angled 45 degrees and includes premium grade linear bearings for optimum performance and durability. 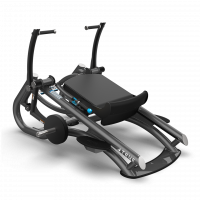 A back pad with integrated headrest easily adjusts to 7 positions for personalization, while the wide foot plate with calf raise provision offers exercise variation. 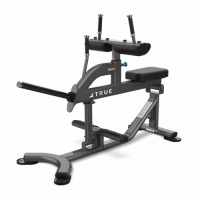 The Glute Press combines a reverse decline lunge motion simultaneously with a chest Glute_Press Frontpress motion for faster and more accurate fitness results. 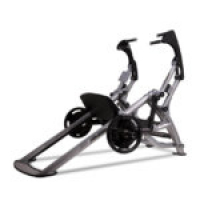 Heavy duty construction features swivel plate holder assembly with 8-45 lb. plate capacity and both wide and narrow handgrips. 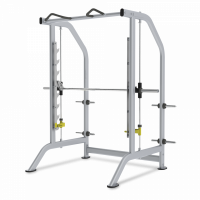 The Fitness Line Smith Machine combines commercial construction, exercise versatility and modern aesthetics in a space and cost-efficient package.